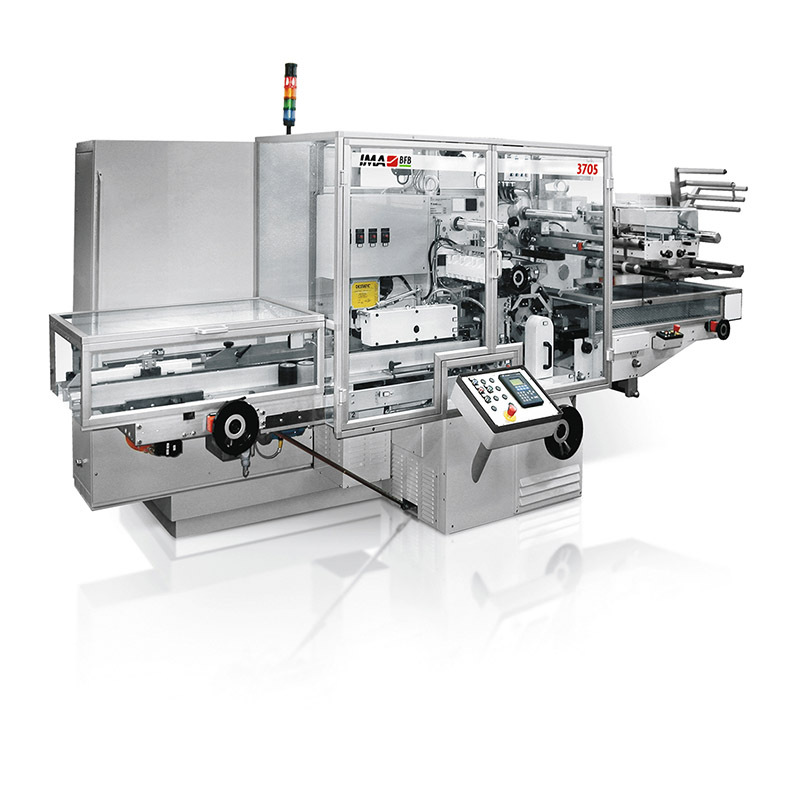 With an output of up to 300 bundles/min, the 3705 is a top-performing overwrapping machine for individual and/or multiple parallelepiped product packs. With an oil-tight steel frame containing all motions, this machine benefits from the smooth speeds of a servo-controlled main motor which eliminates all abrupt stop-start issues. 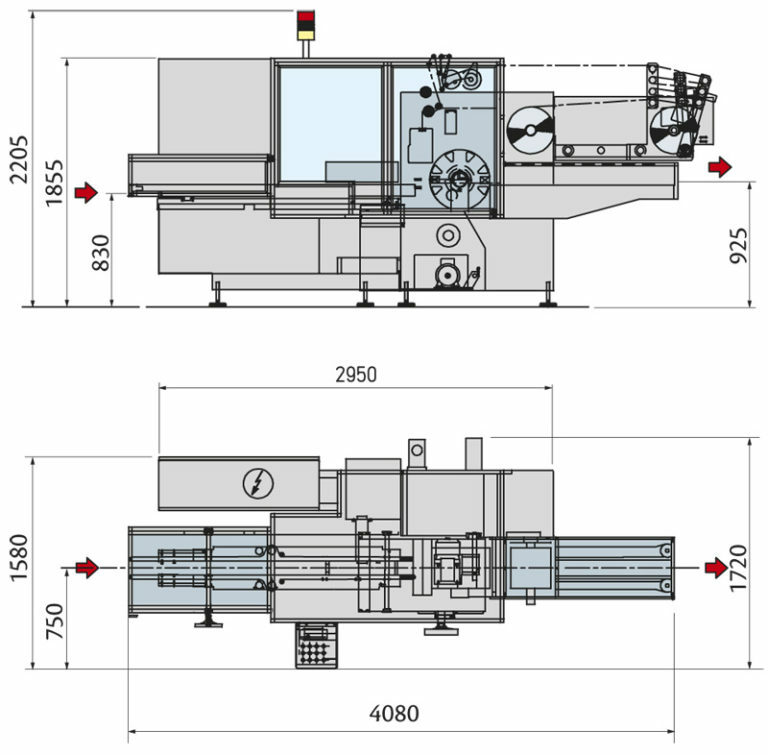 Changeover by replacement of pre-assembled and pre-adjusted groups is fast and easy, so as to avoid unwanted downtime. 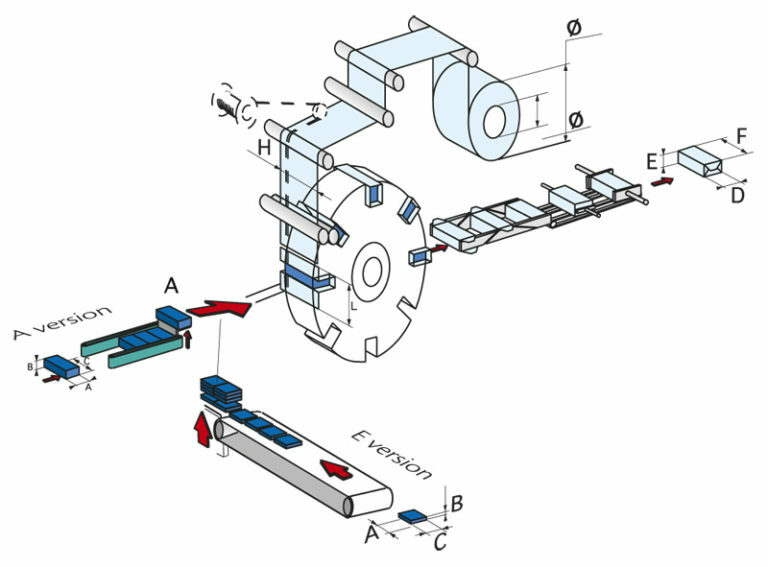 Positive product handling during operations cycle with several checking points. Safety checks during wrapping phase: wrapping film missing and tear tape missing.